Mother’s Day is almost here. Are you ready? Have you found a unique gift for your mother and/or the women in your life who are mother figures? 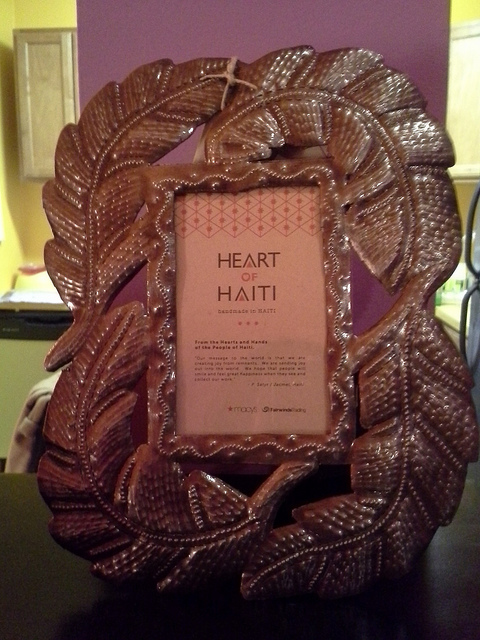 This year, I am giving my mother a gift that promotes social good: a handmade picture frame made by a Haitian artisan who creates beautiful work for the Heart of Haiti collection at Macy’s (see photo below). The Heart of Haiti collection features more than 40 home decor items including qulits, metalwork, ceramics, and paintings made my Haitian artisans. The Heart of Haiti is a “Trade, Not Aid”initiative that was launched by artist and social entrepreneur Willa Shalit, The Clinton Bush Haiti Fund, and Macy’s after the 2010 earthquake. The initiative provides Haitian artisans with an opportunity to make a living, feed their families, and pay their children’s school fees. To date, the initiative has employed 750 artisans resulting in financial benefits for an estimated 8,000 in Haiti. What a powerful way to give back and do social good! In 2011, I traveled as a Heart of Haiti blogger ambassador to Haiti and met the artisans who make the metal frames and other home decor items. Seeing them create and talk about their artwork helped me truly understand how powerful “Trade, Not Aid” programs are. Since then, I have continued my work as a Heart of Haiti blogger ambassador by using my blog and social media presence to raise awareness and celebrate the artistry and regrowth of my Haitian brother and sister artisans. 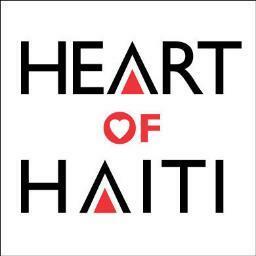 I encourage you to give back to the Haitian artisans by purchasing a Heart of Haiti gift for your mother and/or the mothering women in your life. Click here to explore the collection on Macy’s web site. Happy Social Good Shopping! DISCLAIMER: I am a member of the Everywhere Society and Everywhere provided me with compensation for this post. However, all thoughts and opinions expressed herein are my own.